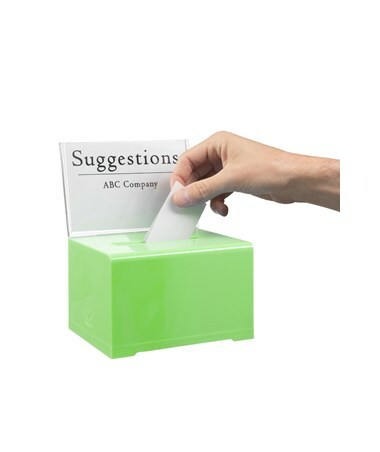 The Adir Acrylic Box is perfect for suggestions, ballots, donations, business cards, and contest entries. 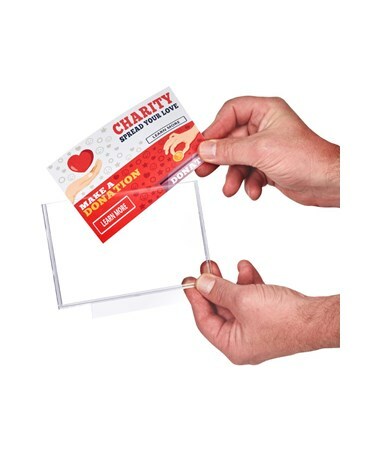 It measures 6¼”L x 4½”W x 4”H, which leaves enough room for plenty of slips of paper, but not so much that you are overwhelmed when emptying and going through the contents. 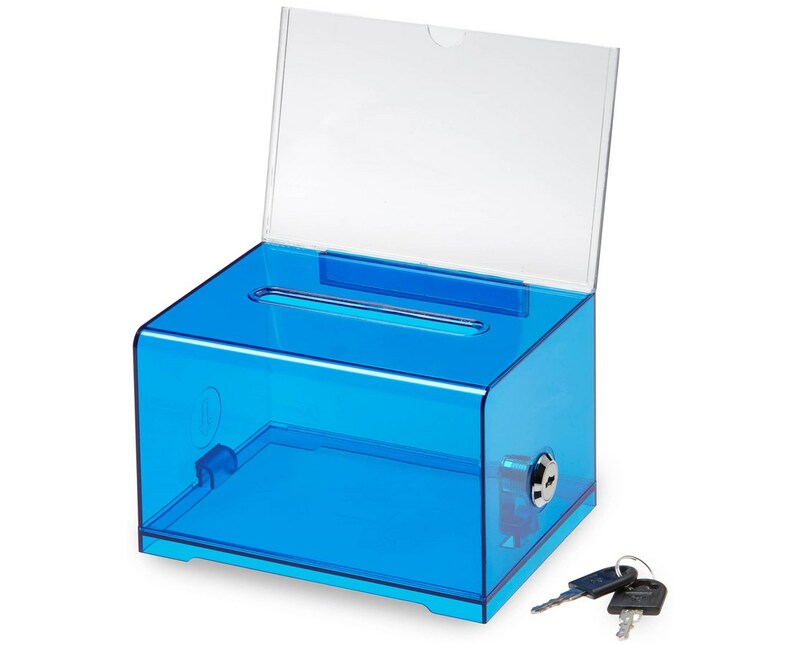 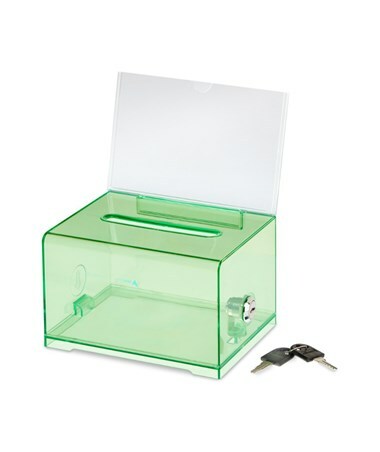 Made of durable, clear acrylic, it’s easy to see when the box is full and should be emptied. 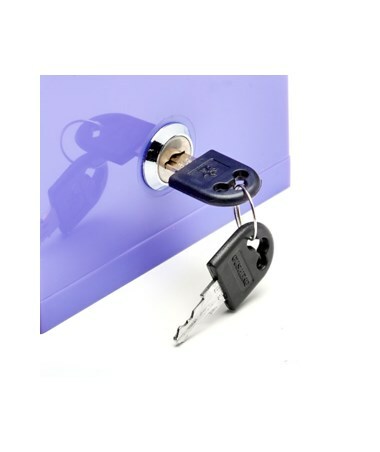 It also can take standard wear and tear that can be expected when using such a product. 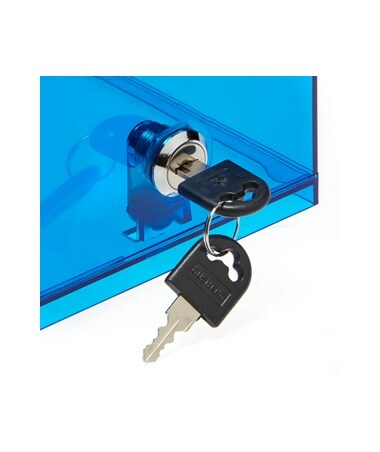 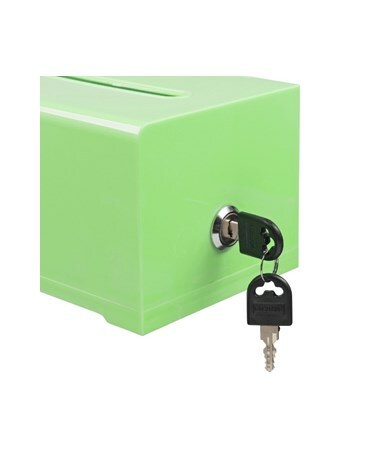 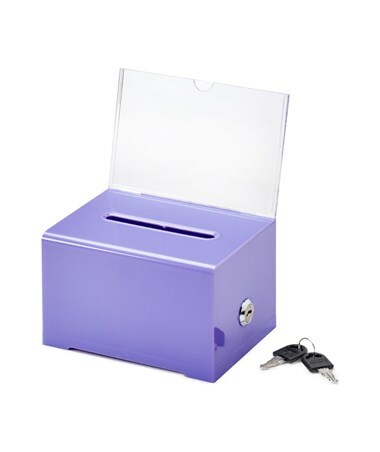 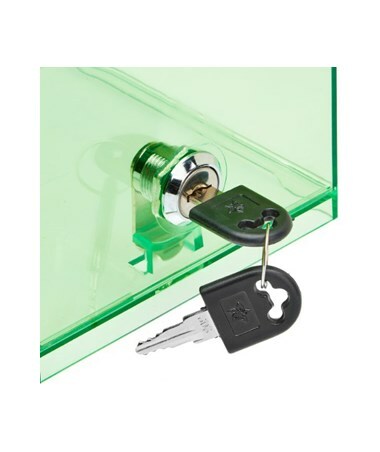 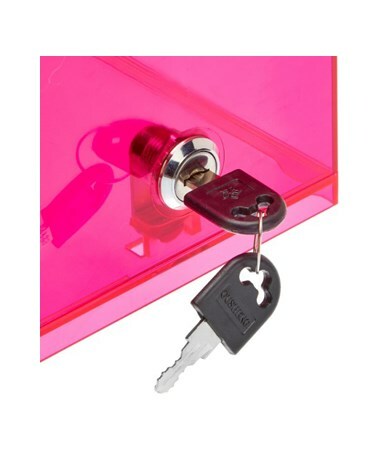 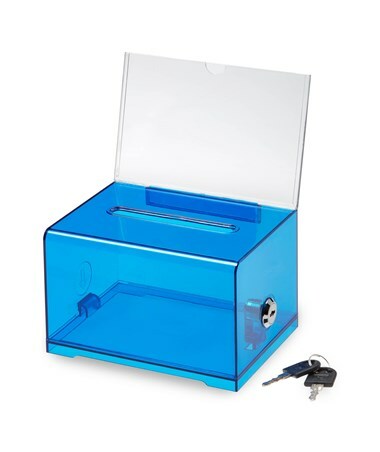 It features a sturdy lock with a set of two keys, in order to protect the contents inside. 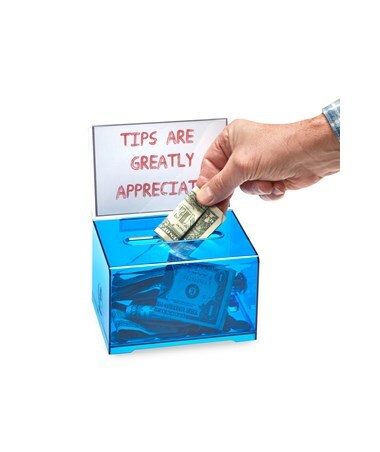 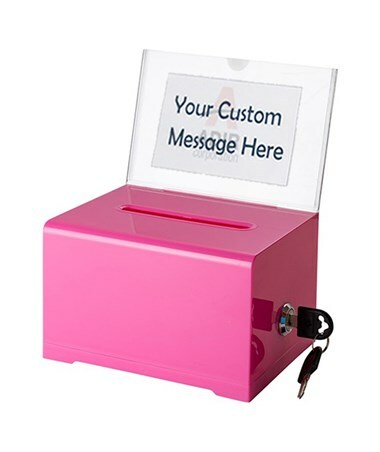 Additionally, there is a removable message display that is fully customizable for a personalized message. 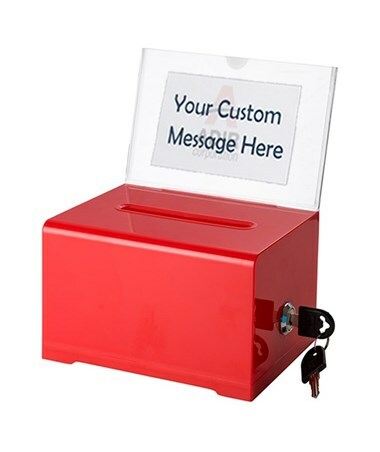 The display is 4”W x 6”H. 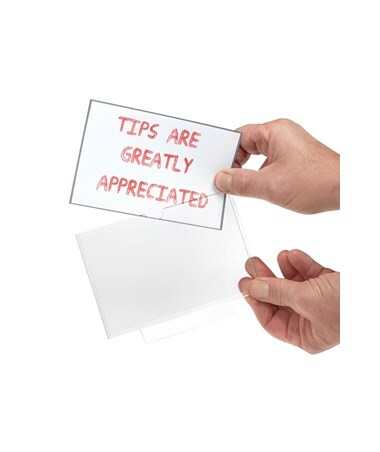 This leaves enough room to clearly state your message while not being overdone. 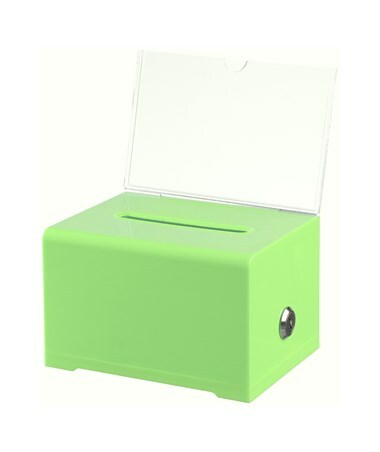 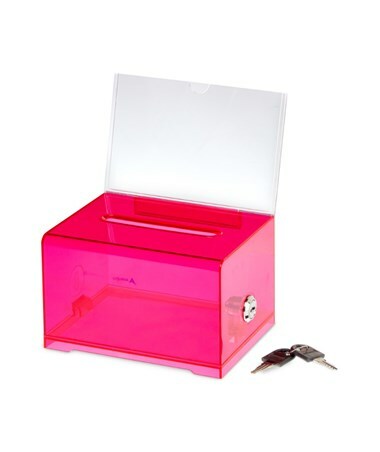 The Adir Acrylic Donation & Ballot Box is available in different attractive colors. 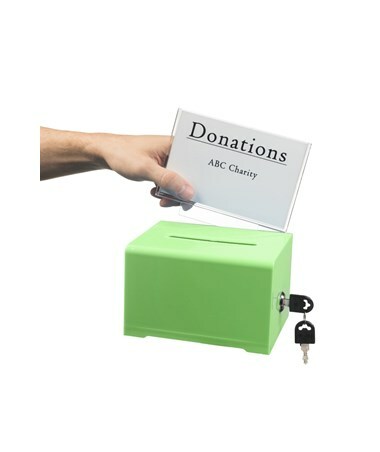 Select your preference from the drop-down menu above.